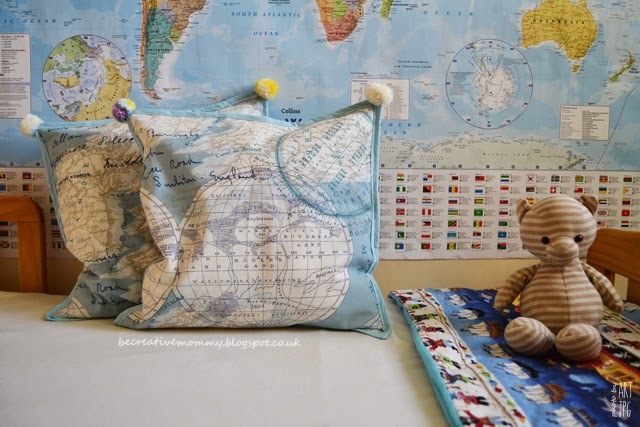 Be Creative Mummy / UK lifestyle Blog / Crafts: Kid's Room Decor #3. 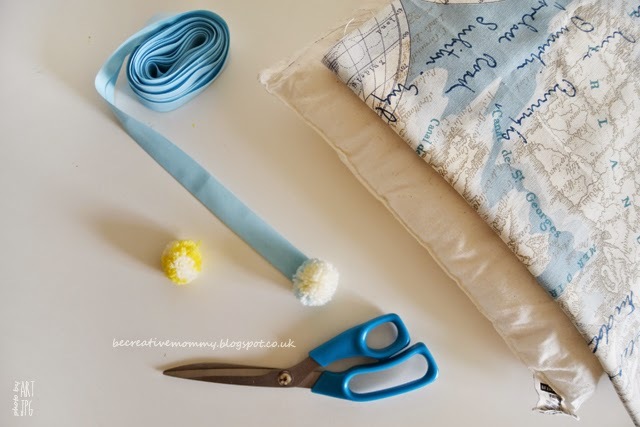 Pillow covers tutorial. Kid's Room Decor #3. 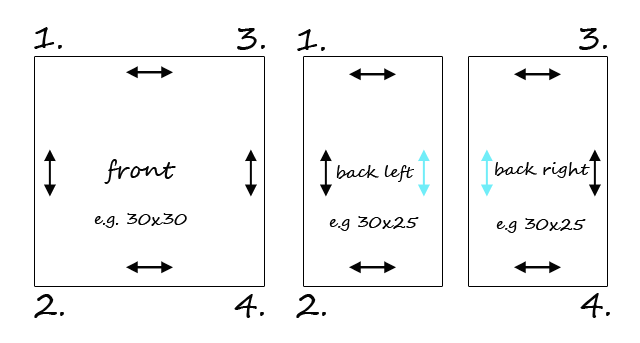 Pillow covers tutorial. Another change in my little boy's room. This time I've sewn pillow covers. 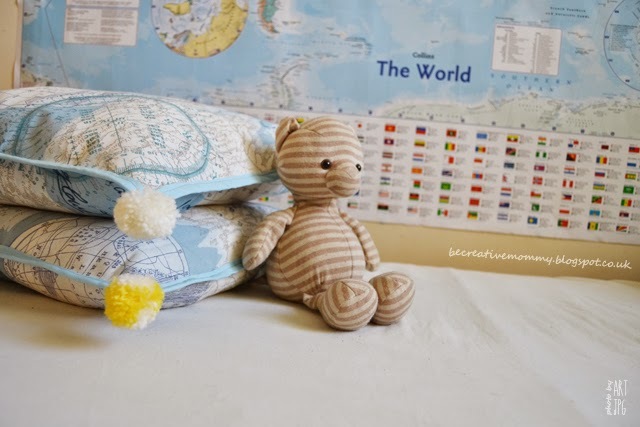 I have prepared for you easy tutorial, how to sew pillow cover? Step2. Cut front and back pieces. Back pieces should be about 10 inches longer. Step 3. Cut the back piece in half, next fold long edge over and sew 2x. Step 4. Position fabric pieces and pin together. Step 5. 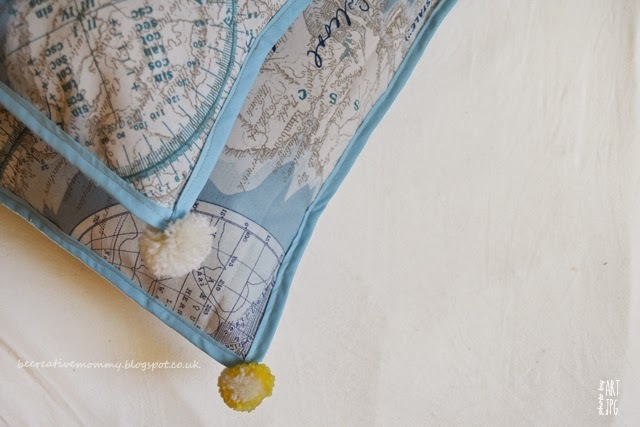 Sew around edges. Step 6. Flip right sides out. Of course, finishes is an individual matter :-). Currently, I almost have done my son's wardrobe. About this soon. 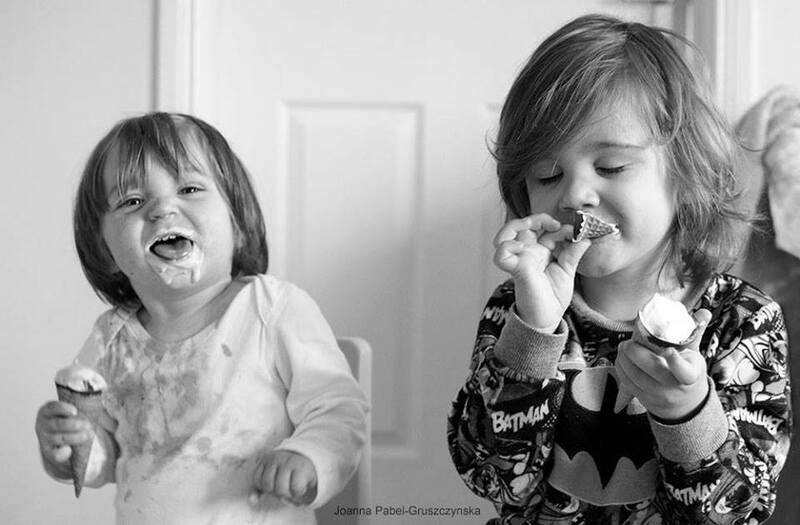 And tomorrow, I and my blogging friend invite you to join our photography project. I can't wait when you'll start your project. These look great Joanna. love how they turned out :) great tutorial.. Thanks for sharing at the weekend blog hop..